5 Common Patient Collections Mistakes – Are You Guilty of One or More? Becker’s ASC Review offers a concise guide to some of the most common patient collections mistakes made by Healthcare providers. In a healthcare environment that is becoming more and more “retail” and dependent upon the patient’s financial responsibility, it’s critical to lock down the basics of patient billing and collections, from beginning to end. Patients expect — and should get — correct information up front and accurate payments options on the back end. Among the key findings from Black Book’s 2017 revenue cycle management surveys: Since 2015, patients experienced a nearly 30 percent increase in deductible and out-of-pocket maximum costs. It won’t be surprising to see that figure rise even further when Black Book releases its 2018 revenue cycle management surveys. Here’s the list; visit Becker’s ASC Review for expansion on each factor. 5. Lack of performance monitoring. 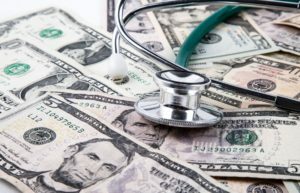 We’re seeing a new reality where patients owe more and are looking at line items closely; it’s more important than ever to implement streamlined processes in payer payments too! Why? Higher levels of efficiencies driven by systems like OrboAccess, drive greater collections and profitability, mitigating overall revenue risk when patient payments fluctuate.